The chairman of an online tile retailer has teamed up with a former director of Cheshire-based Forster Dean to launch a personal injury firm, Step Legal, which opened this week. 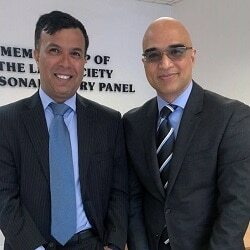 Solicitor Abid Hussain said co-founder Mo Iqbal, chairman of Tile Mountain, would give Step Legal the ability to invest in IT and buy other firms when the Civil Liability Act comes into force next spring. Mr Hussain said that, along with Tile Mountain, Mr Iqbal had his own technology business in Islamabad, Pakistan, which worked for a range of companies and designed the Step Legal website in only two days. Mr Hussain said technology was “the key driver” of where the firm was going and would be very expensive to acquire in the absence of Tile Mountain. He said Mr Iqbal also had “deep pockets”, giving Step Legal, which opened for business this week, the ability to buy other firms possibly as soon as this year. 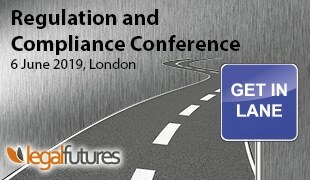 Mr Hussain said that only the “more dynamic” law firms would survive the personal injury reforms in April 2020, when the Civil Liability Act introduces a tariff of damages for whiplash claims, and the small claims limit will increase for road traffic accident cases to £5,000. Mr Hussain said Step Legal was an alternative business structure, granted a licence by the Solicitors Regulation Authority last month. Both he and Mr Iqbal were directors and shareholders, with Mr Hussain holding the majority stake. 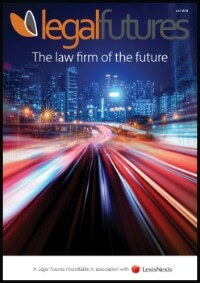 Step Legal is based in an office in Crewe, which he had opened when he was a partner in Forster Dean. He described his relationship with Forster Dean, where he was working until last Friday, as “very amicable” and said they had agreed that 100 cases would be transferred to Step Legal. Mr Iqbal worked for Topps Tiles before taking over Tile Giant, a business he grew from two stores to 32 before selling it to Travis Perkins for £12m. He founded Tile Mountain, based in Stoke-on-Trent, in 2013. Mr Hussain added that Mr Iqbal had worked his way up in the world “from nothing” and having him as a business partner was like being advised by one of the panel from Dragon’s Den. Two years ago, Mr Hussain was one of three Forster Dean directors each fined £10,000 for accounts rule breaches. A fourth director was fined £15,000, while its former chief executive was suspended for nine months.